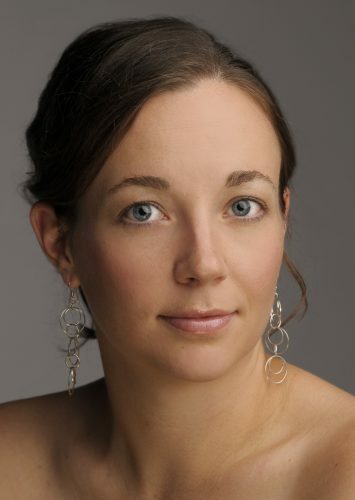 Christie Reside began studying flute with both of her parents at the age of six. Since then, she has been an active participant in numerous competitions, winning the National Music Festival of Canada, and placing second at the Tunbridge Wells International Young Concert Artists Competition. She has been invited to participate in numerous festivals around the world, including the Spoleto Music Festival, and the Mountain View International Festival of Song and Chamber Music. An enthusiastic chamber musician, Ms. Reside has collaborated with artists such as Rudolf Jansen, Olivier Thouin, Yegor Dyachkov, and Lise Daoust. She has also appeared as a soloist with the Montreal Symphony Orchestra, l’Orchestre Symphonique de Quebec, the Calgary Philharmonic Orchestra, and the Vancouver Symphony Orchestra, among others. Ms. Reside is currently the Principal Flute of the Vancouver Symphony Orchestra and is grateful to the Canada Council of the Arts for their generous support of her career.